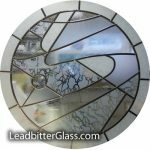 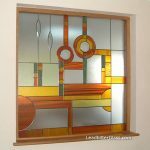 We can make almost any glass design you see on this website to suit a 1930s style door but below are a few popular designs to give you an idea of what we can create. 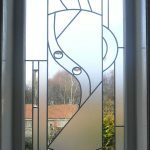 The 1930s Etched Glass patterns shown below can also be chosen for different door styles because everything we make is bespoke. 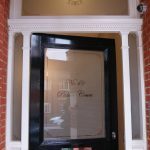 We can also create matching side panels and matching panels for above the door if you have a vestibule entrance or a porch. 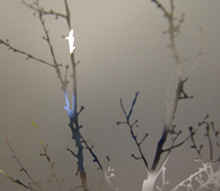 All glass can be supplied in single glazed or double glazed format. 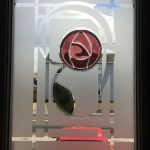 The most popular request we receive from customers ordering etched glass is to have the background obscured by the etching and for the detail to be clear glass. 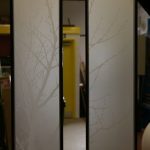 Most of the designs on our website show the etched panels like this but we can also create the panels in the opposite effect with an etched pattern on a clear background.